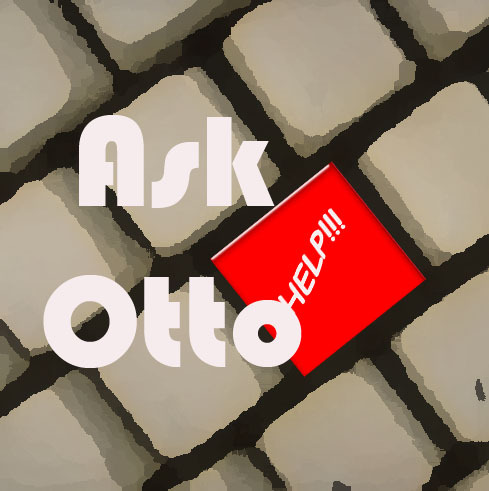 Dear Otto: My Students Think Hunt-and-Peck is Good Enough. What do I do? Do you have any suggestions for kids who have developed substitute patterns for using home row keys? Many of our 5-7th graders have learned how to hunt and peck quickly and are resisting using the correct fingers on the home row. Ultimately this will limit their speed, but they don’t see that consequence yet. Help. Students should be able to type while they’re thinking, put their ideas onto the page without interrupting what’s buzzing through their brains. It should be an invisible tool in support of their learning–like handwriting. If they’re hunting and pecking (albeit quickly), they are searching for keys rather than collecting their thoughts. 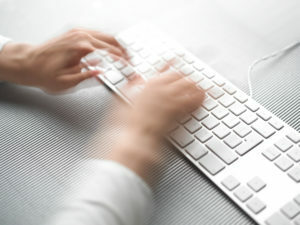 If they’re typing from a print copy (which is becoming less common in classrooms), their head is bobb ing between the right place on the page and the keyboard. Few hunt-and-peckers exceed 20 wpm, and studies show that students need in excess of 20 wpm to keep up with their thoughts. For some students, this simple math will convince them. Additionally, hunt-and-peck speed rarely exceeds the speed of handwriting, which is 25-35 wpm for 5th grade. Touch typing speed pretty much doesn’t top out. Middle schoolers who have practiced with a goal of touch typing easily reach 45-75 wpm. Apply this speed to authentic uses of typing, such as homework and classwork. Wouldn’t they like to finish earlier? The buy-in to this concept is the first step: Do they agree with the goals of touch typing? Does hunt-and-peck satisfy the goals? Do a few experiments with students. Make it a scientific experiment as they are used to in science class. Here’s an example where my classes compared handwriting vs. keyboarding Here are student pros and cons to handwriting vs. keyboarding. Having said that, I usually allow students to type any way they wish if they can type ‘fast enough’ without looking at the keyboard–eyes on screen or paper. I’ve seen some really fast hunt-and-peckers who use a hybrid approach of touch and peck to type. I’m OK with that if it works for them.